The 12th consecutive Red Bull Air Race World Championship is set to kick off at Abu Dhabi's Corniche waterfront on February 8, 2019. The two-day event will feature both Master Class and Challenger Class pilots reaching speeds of around 370 km/h above the waters of the Corniche waterfront. Martin Sonka of the Czech Republic will look to defend his Master Class title against 13 other pilots, including Canadian Pete McLeod, who is adding Werner Wolfrum as a tactician in 2019. 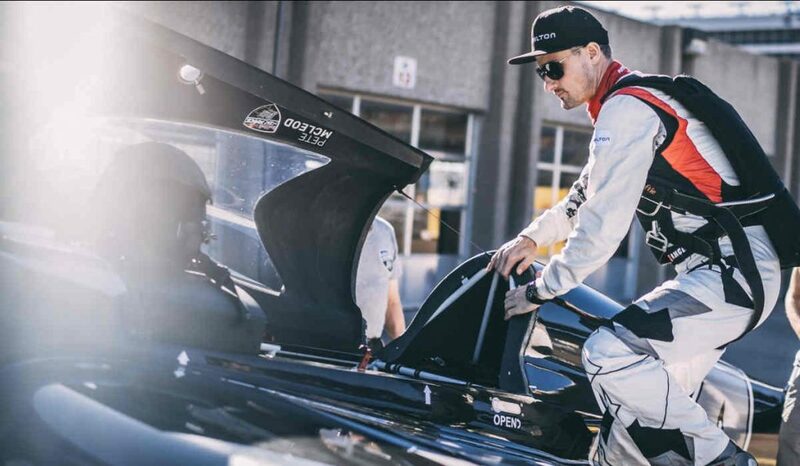 McLeod joined the Red Bull Air Race series as a 25-year-old in 2009 and by 2014 he had three podiums, including a career-first victory in Las Vegas, which also made him the youngest race winner at age 30. McLeod earned his private pilot’s licence at 16 and was a bush pilot before pursuing aerobatics as an 18-year-old, receiving his aerobatic instructor rating in less than a year. He went on to a range of successes in the North American Collegiate Championship series, while pursuing an economics degree from the University of Western Ontario, and competed in classical aerobatics internationally before switching his focus to racing. In 2016, McLeod was the only pilot to make it through the entire Red Bull Air Race season without hitting a pylon. In 2017, the native of Red Lake, Ontario, who is now based in London, took third place at the season opener, capturing four consecutive pole positions and earning three second-place finishes in a row. He earned the DHL Fastest Lap Trophy and ultimately finished third in the World Championship. In 2018, McLeod took a second-place finish at Indianapolis Motor Speedway and is looking to regain his form in 2019. Among the rule changes for 2019 is a revision of the points scheme. For the first time since 2010, points will be awarded in Qualifying: three points for the fastest, two for second place, and one for third. In addition, pilots will continue to receive Race Day points according to their final placement, but the allotment has changed, and bonus points will be added for advancing through the rounds (five points for advancement to the Round of 8 and three points for advancing to the Final 4).